Ask an Expert: Can I Refill My Prescription Early? Prescriptions are refilled based on the number of “days supply” in the prescription. For example, a prescription for a 30-day supply can generally be refilled at day 27 or day 28. This assures that patients don’t run out of medications when they take them routinely. The primary reason drug refills are regulated is to prevent the abuse and misuse of controlled substances , like opioids or other addictive medications. If those substances were not closely regulated, a patient could theoretically visit multiple pharmacies asking for “early refills” simply to feed their addiction or to trade the drugs on the black market. Separately, some insurance companies also regulate patients’ ability to refill prescriptions earlier than scheduled. There are a variety of reasons for this, which vary by the type of drug. For example, a patient who takes medication to manage diabetes may have different guidelines to follow than a patient who regularly takes narcotics to manage their pain. Most insurance plans have “vacation exceptions” or “emergency exceptions” to cover common reasons why a patient may need a prescription early. In all situations, documentation and early planning is key. It is likely that both your doctor and your pharmacist may need to be involved (in cases where a doctor’s note or updated prescription is required). In some situations, your pharmacist will simply follow the “travel exception” or “emergency exception” guidelines provided by your insurance plan, if you have one. In other cases, they may need an updated prescription, where your doctor specifies a 60-day supply versus a 30-day supply. If you use a controlled substance, an early refill may not be possible. In that case, speak with your prescribing physician about your specific situation. Is it possible for me to refill this prescription early before I travel? Is it possible for me to keep an emergency supply of this medication at home? When does my medication expire? Is it safe to travel with my medication? Vacations and emergencies happen. Your doctor and pharmacist want to help you continue your treatment as safely as possible. One thing that shouldn’t be affected when you refill? The cost of your prescription. 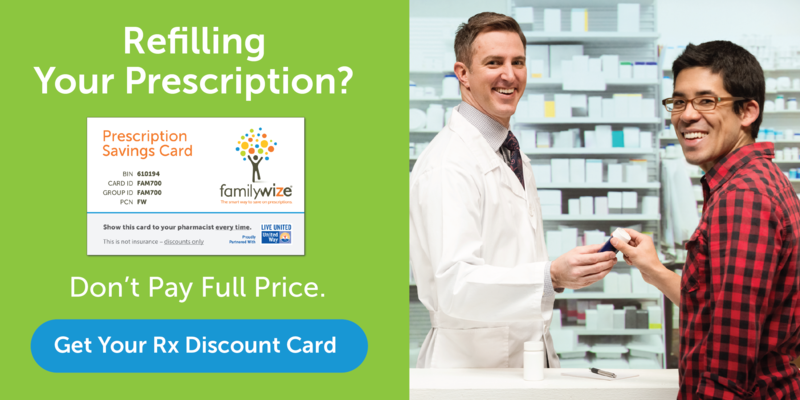 Comparing prices across pharmacies and using free prescription discount programs are always highly effective ways to reduce how much your family spends on medications.